24 April 2014. Crimea IS Russia… Did You Ever Doubt It? There’s much caterwauling and bawling from the usual cast of (Uniate) suspects out there. Let me remind them… the “Ukraine” is a neologism, but Little Russia, New Russia, Carpatho-Russia, and Crimea are not. This is Livadia Palace in Yalta, built by the RUSSIAN tsars who ruled an ALL-RUSSIAN state. I’d remind them to be careful what they wish for… they might get a pro-American neoliberal hell of a Ukraine… confined to the Far Western provinces (they’d be lucky to get that, frankly). As for me, I have no illusions. It’ll take at least ten years to BEGIN repairing the damage done by loudmouth Ukie nationalists over the last generation. However, we now KNOW that the Galician Uniate fascists are pigheaded and ignorant (the more ignorant, the more stubborn), totally unfit to rule a modern state. They had their chance… they failed. Now, let them move aside and let REAL rulers take over… Putin or Tyagnibok, which do YOU prefer? That IS the choice on offer. Comments Off on 24 April 2014. 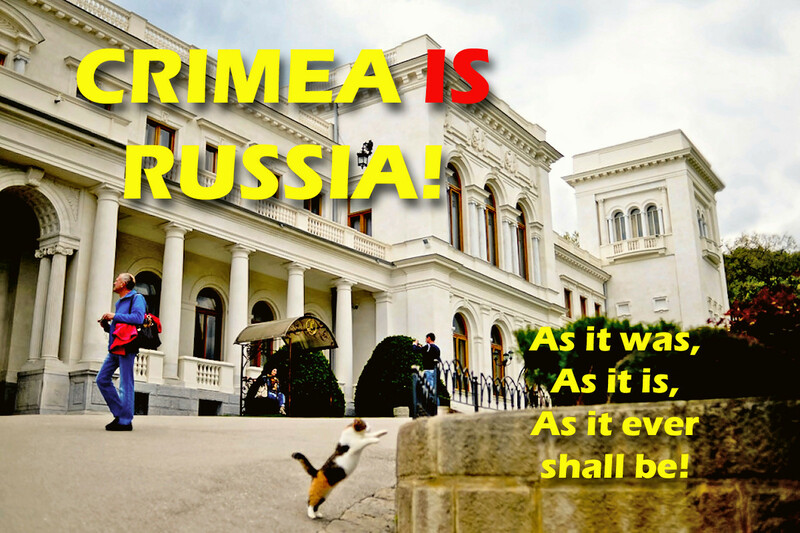 Crimea IS Russia… Did You Ever Doubt It?